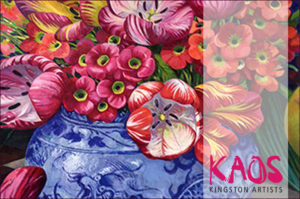 KINGSTON ARTISTS VISUALLY LITERATE EXHIBITION a collaboration between artists and writers from Kingston Artists on Vimeo. 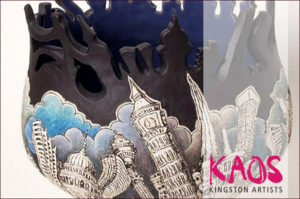 Kingston Artists (KAOS Artists) are a group of more than 70 multi-disciplinary artists and crafts-makers, our aim is to raise awareness of the visual arts in and around Kingston upon Thames. One of our key activities is to hold Open Studios over two weekends during the summer – this year 10-11th & 17-18th June – when we open our studios and homes to the public. With over seventy members taking part in our Open Studios please take a look at the varied work that is being produced for our events and exhibitions. There is always something for everyone. 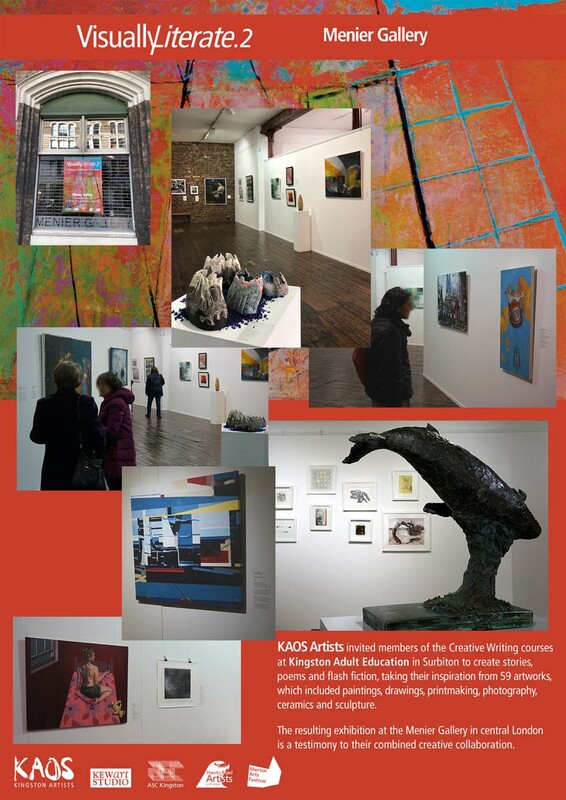 In early May 2017, Kingston Artists (KAOS) hired The Fitzrovia Gallery in Whitfield Street W1 to trail their concept of a collaborative exhibition of work by artists and creative writers. 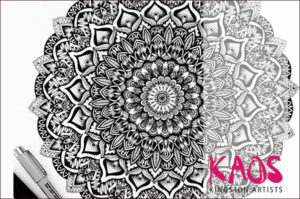 Twenty six KAOS artists produced a variety of work: paintings, drawings, printmaking, mixed media, sculpture, photography and video art. Images of the work were given to a group of creative writers, tutored by Lisa McKinnon from the King Charles Centre Surbiton. The writers were deliberately told nothing about the work or of the artists but were asked to write short stories, poetry, flash writing inspired by the artwork. 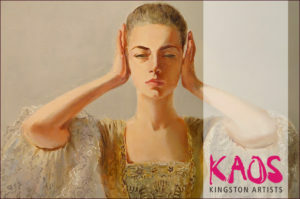 The writing was to be no longer than 500 words and would be displayed beside the artwork in the gallery. The Private View was a unique experience for the guests, as Lisa explained how the process of writing was undertaken and and then introduced a number of writers who read out their stories. 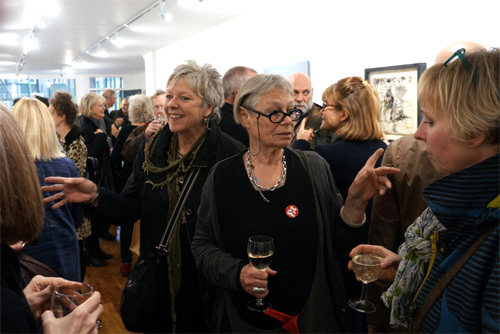 The PV was huge success, the writers enjoyed the opportunity to meet the artists for the first time and the large number of guests spilled onto the pavement. 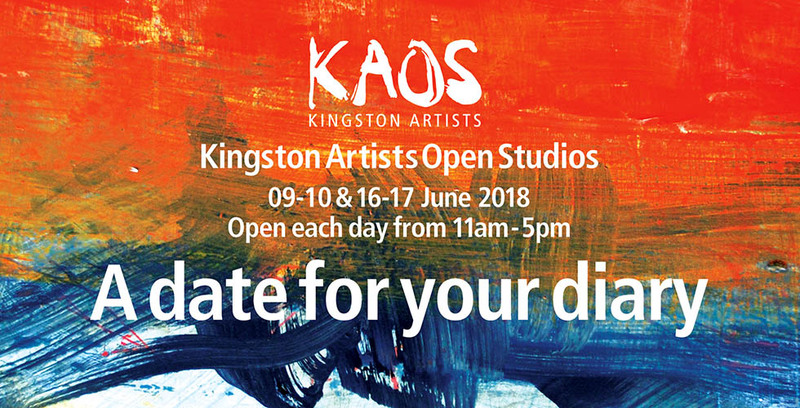 We welcome local artists to apply for membership of KAOS and to take part in our Open Studios during the summer, as well as the opportunity to enjoy our other events and exhibitions.